Chief minister, Siddaramiah, today stirred a hornet’s nest by describing the BJP, Bajrang Dal and the RSS as extremists while responding to newsmen in Chamrajanagar, indicating clearly that the gloves are off as far as the fight to retain power in Karnataka is concerned. The state goes to the polls this May. “Whether it was the Popular Front of India or the SDPI or, for that matter, the RSS, Bajrang Dal or VHP, the government would deal with such organisations appropriately if they created unrest. Nobbody would be spared,” he asserted. In this context, when newsmen asked him as to why the PFI had not been banned,following allegations of its involvement in the murder of BJP activist, Deepak Rao, the chief minister said the government was waiting for more facts. At the same time, he warned the government would not hesitate to take action against those who created unrest ,irrespective of their affiliations. The two parties are involved in an unhealthy war of words with both Siddaramiah and BJP chief minister of UP, Yogi Adityanath, using Twitter to settles scores. 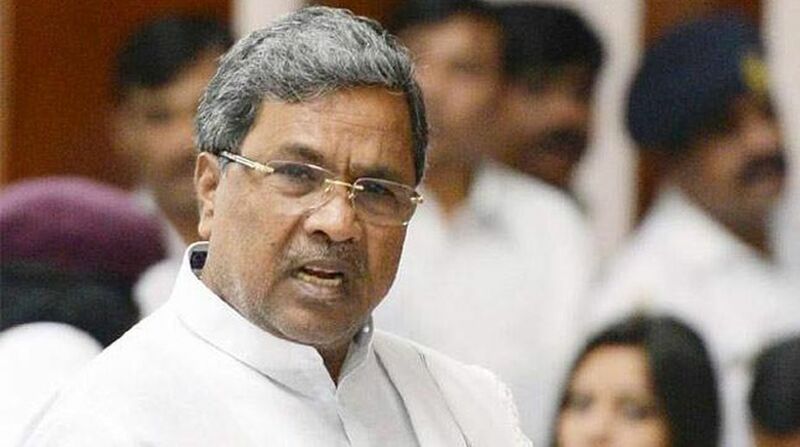 The latter was in the city two days ago and his remarks against the Congress saw a furious Siddaramiah taking jibes at him with the latter also retorting ,deriding him for calling himself a Hindu while promoting beef eating. Mr Siddaramiah ,however, was not the only one to term the BJP as a terrorist organisation . The working president of the Congress party , Mr Dinesh Gundu Rao, echoed his sentiments when he said here today that BJP members were asking Muslims to leave the country and go to Pakistan. Or, talking about changing the Constitution. This is “precisely why I am levelling a serious allegation that the BJP is a terrorist organisation,” he said. While the Congress wanted to talk about development, the BJP, he said, chose to speak about violence and Hindutva only. 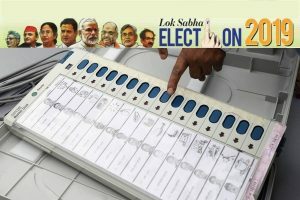 The remarks were promptly slammed by the BJP which accused the chief minister of polarising elections on “communal lines“ by terming the RSS-BJP as terror organisations. The Congress working president ,on his part, had called for a ban on the BJP, conveniently forgetting that Indira Gandhi was no longer India’s Prime Minister and that these were not Emergency days, the Opposition party said.